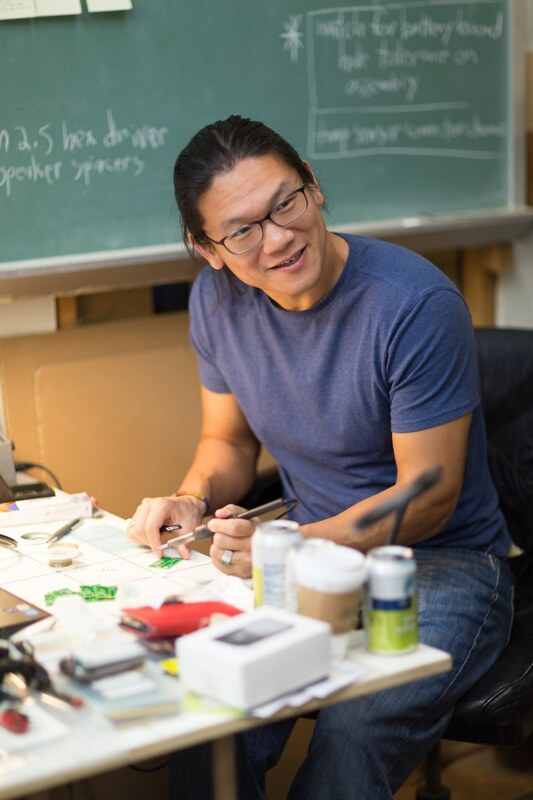 Andrew “bunnie” Huang may not be a household name, but he’s a star in the world of electronics. A self-styled “hardware hacker,” Huang works with physical machines rather than the programs that run on them. In his 2003 guide “Hacking the Xbox: An Introduction to Reverse Engineering,” Huang gives step-by-step instructions on how to modify the console — for example, how to change its signature green light to a blue one. The release of “Hacking the Xbox” was disrupted by legal threats from Microsoft, foreshadowing Huang’s 2016 lawsuit against the U.S. government over part of the Digital Millennium Copyright Act (DMCA). Huang's new book, "The Hardware Hacker" acts as both a career retrospective for Huang, as well as a guide to how the “stuff” we buy is made. As a youth in Michigan, Huang spent his summer vacations “tinkering in the basement,” and is worried that the DMCA will scare people off the opportunity to learn. Huang’s reservations about the law were reinforced by his trips to Shenzhen, a city in China with a vastly different attitude to inventions. In Shenzhen, a gongkai (literally “open work”) system means that creators trade ideas and services, rather than protect them with patents. That said, Huang still gets a kick out of the hardware he finds in China. In “The Hardware Hacker,” he details the eye-popping inventory of Huaqiangbei, Shenzhen’s most famous electronics market. “From an American perspective, I think seeing military hardware apparently stripped from NATO missiles for sale on the market is pretty crazy.…In Huaqiangbei, you can get your paws on a few of these circuit boards if you know where to look,” he said. The country’s proximity to China also means ease of access to Shenzhen’s factories. Huang credits his perspectives on society, security, and ethics to his “isolated” upbringing. He was the only Chinese kid at his junior and high schools in Kalamazoo, Michigan, which he said made him an “outsider,” though he didn’t realize it at the time. “I lived in a black/white racially segregated part of America, watching the power dynamics between dominant and subordinated classes, but I never really identified with either,” he said. He also recalled being “shocked to learn the privileges of being the majority” when he first travelled to Asia. He’s also currently working on a project called Love to Code, aimed at getting more people — especially young women — to learn about tech.